I’d love to visit this. 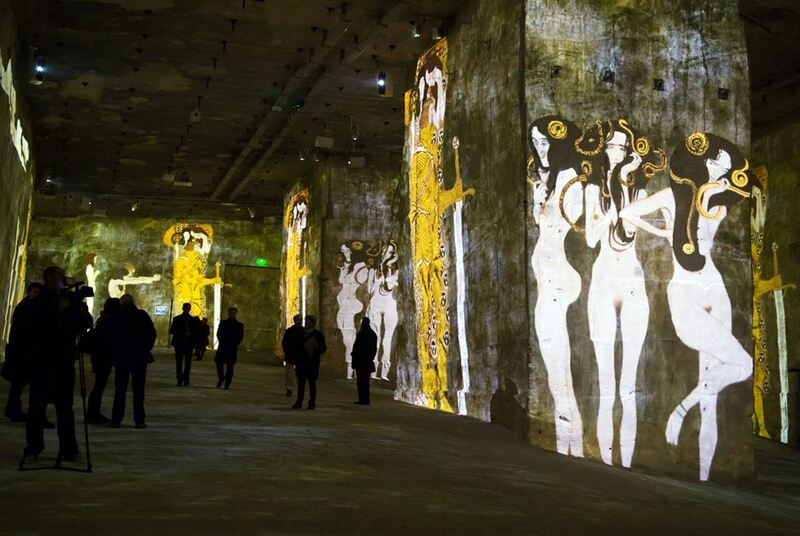 As I understand it, Carrières de Lumières is an old limestone quarry in Les Baux-de-Provence that has been turned into an exhibition space managed by a company called Culturespaces, which operates art installations across Europe. 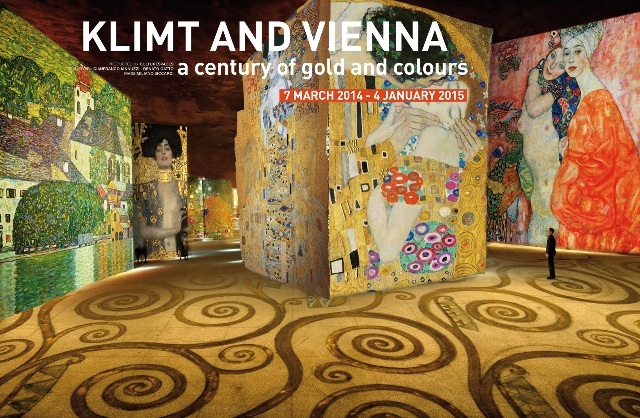 The current show, running through 2014, is called “Klimt And Vienna, A Century of Gold and Colours”. 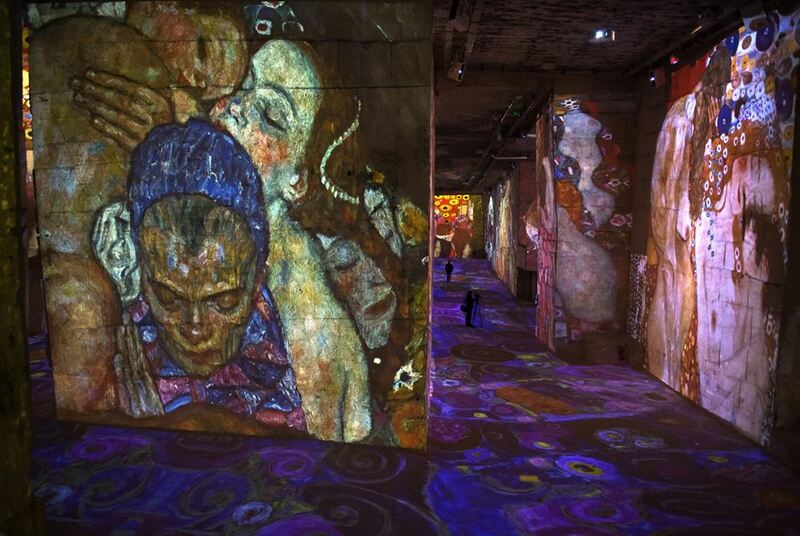 Visitors walk through the former quarry, where the walls and floors are illuminated with massive digital images. It’s an immersive son et lumière. 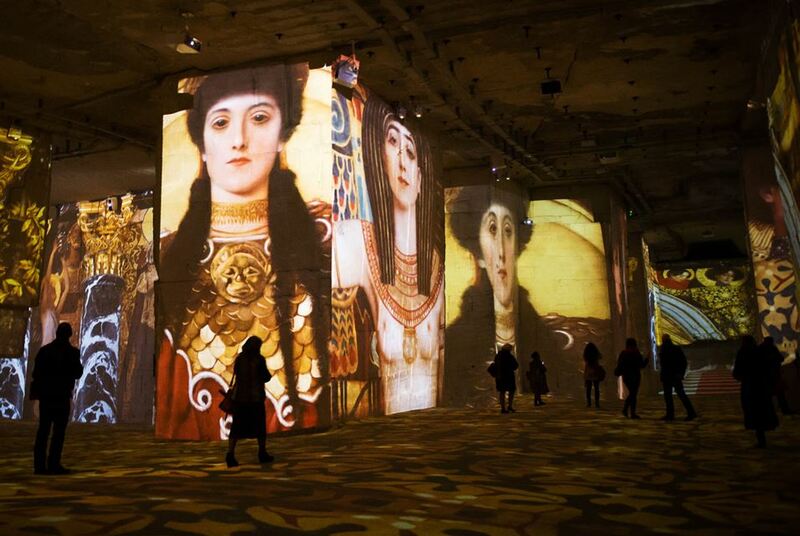 This entry was posted in Art, Design, Places I'd Like to Visit and tagged Carrières de Lumières, Culturespaces, Klimt, Klimt And Vienna on 19 June 2014 by bcarter3.